Din L-Art Ħelwa has called for the quarry to be rehabilitated as a green zone. The Wied Għomor retirement home saga has taken another twist after the developers filed a court appeal seeking to overturn the Planning Authority’s refusal of the controversial development. Plans for a 133-home residence and other facilities in a disused quarry in Wied Għomor, outside development zones between Swieqi and San Ġwann, were unanimously rejected by the PA board in May 2016. The decision was confirmed on appeal by the Environment and Review Planning Tribunal in March this year, to the relief of the residents, environmental groups and local councils vociferously opposing the project and seeking to spare the scheduled valley from development. 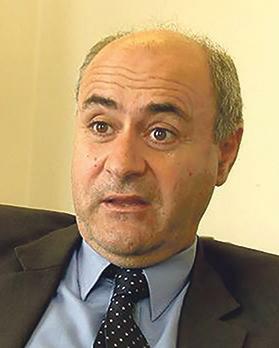 However, developer Joseph Galea has now asked the Court of Appeal to revoke the tribunal’s decision, arguing that the development of a retirement home in the quarry had already been approved in principle by a prior permit issued in 2000, which included a rehabilitation plan for the quarry and an approval in principle for the after-use of part of the site as a retirement home. The developer is contesting the tribunal’s ruling that the permit issued in 2000 was not an outline development permit and did not confer a right to development and that any right was still subject to the Strategic Plan for Environment and Development (SPED) policy. Moreover, the court appeal claims that the tribunal had been wrong to conclude that the local plan excluded development of retirement home on the site, and that the decision should be annulled as the Swieqi local council and Light Pollution Awareness Group were not listed as parties to the appeal. The tribunal’s decision last March had been welcomed by Swieqi mayor Noel Muscat as a “victory for the environment and common sense”, with Environment Minister José Herrera also declaring himself “satisfied” with the outcome and pledging to continue working for the valley’s protection. Together with its counterparts in St Julian’s and San Ġwann, the Swieqi council has warned that the proposal, which includes ancillary facilities and a new access road, would continue to eat up the last patches of open space in the town and its surroundings. Some 4,500 residents signed a petition against the project. 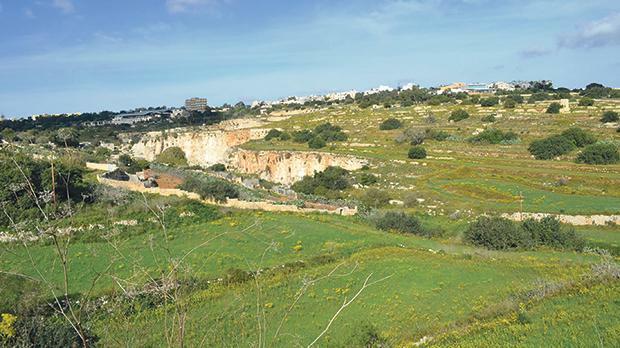 Din L-Art Ħelwa has called for the quarry to be rehabilitated as a green zone and for retirement homes to be located within the heart of existing communities, warning of a developing trend with similar proposals mooted close to the Ta’Pinu shrine in Gozo and Buskett valley. The developers have denied that the project will have negative environmental impacts and highlighted the small built-up footprint as well as the overall rehabilitation of the quarry. Wied Għomor, which is a scheduled area of ecological and scientific importance, has been subjected to an unprecedented barrage of development applications in recent years, stretching local councils to their limits in an attempt to preserve its rural character. In recent weeks, the Planning Authority has approved a five-floor guesthouse on the valley side in St Julian’s – amending an earlier permit for a smaller villa – as well as a small-scale residential development in another part of the valley. The Swieqi local council is also fighting new plans to develop a nine-storey residential complex on the site of the former Halland Hotel in Tal-Ibraġġ, increasing the height and extending a few metres further into the valley than the current structure. Environment Minister José Herrera has proposed the valley for protection under the Public Domain Act, which would offer a further safeguard against commercialisation and overdevelopment.